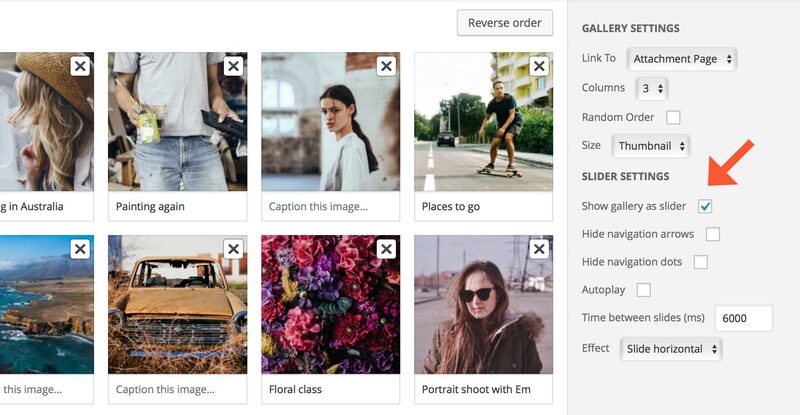 With Make, you can transform a normal WordPress gallery grid into a gorgeous slider, which can be used anywhere that you can insert a [gallery] shortcode. 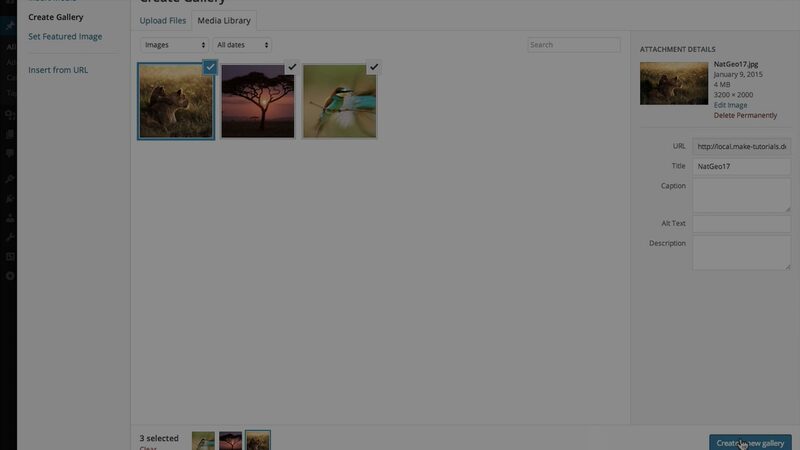 In the content editor, place the cursor where you would like to have a gallery slider. In the right column of the Gallery window, find Slider Settings and check the box next to Show gallery as slider. More slider options will now appear. Configure your gallery slider, then click Insert gallery. ttfmake_slider: Set this to true to enable the slider. ttfmake_autoplay: Set to true will cause the slider to advance automatically after the page loads. ttfmake_prevnext: Set to true will display navigation arrows to the previous/next slide. ttfmake_pager: Set to true will display dots under the slider to indicate which slide is active. ttfmake_delay: The number of milliseconds the slider will wait before advancing. ttfmake_effect: The transition effect between slides: scrollHorz, fade, and none. In addition to the shortcode parameters specifically for the Gallery Slider, many of the parameters for the standard Gallery shortcode are accepted as well.